Recently Adobe has introduced a new tool for Adobe Photoshop CC, already available for purchase. According to the producer, it allows Creative Cloud users to create, change, look through and now print the 3D models more quickly and visually clear. These 3D printing capabilities will be useful for professional designers, while creating all-new models or customizing already existing with the help of familiar tools. Besides this, one can change color, shape or angle of the models, downloaded from Thingiverse or other sites. 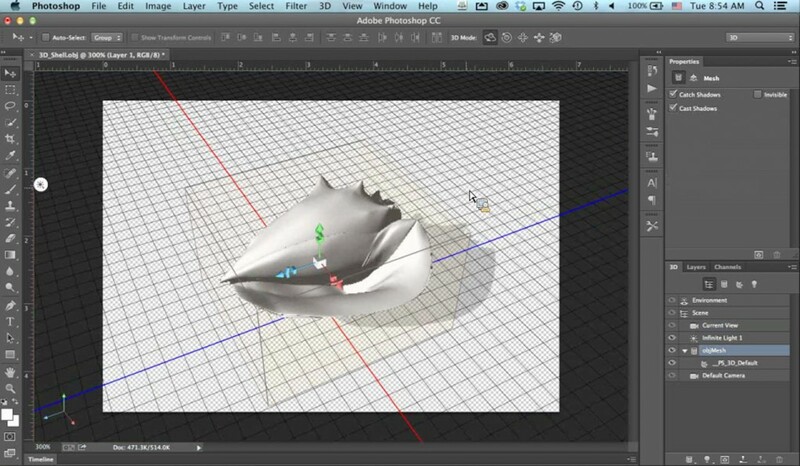 Photoshop CC supports printing on a local 3D printer or using one of the popular online 3D printing services. The program supports the best-selling printer models like MakerBot Replicator, and a user can choose any type of material for printing, available on the Shapeways, like ceramics, full color sandstone, plastic or metals. Moreover, one can download his models on Sketchfab 3D web service or add to a Behance portfolio (a platform to showcase and discover photography, graphic design, illustration). To get the new tools, Photoshop 14.1 should be installed on a computer. The update is also available for Adobe Creative Cloud members, Creative Cloud app members and CS3 customers. 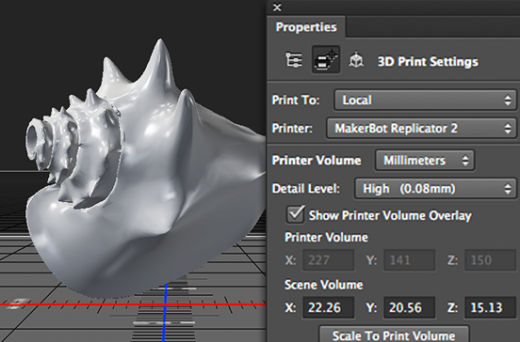 The 3D printing tools can also be accessed for a free 30-day trial period. This entry was posted on Wednesday, January 29th, 2014 at 10:09 pm	and is filed under 3D, Adobe, application, printing. "OKI C941dn – The New Flagship 5-color Printer"